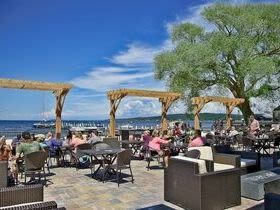 Traverse City's premier dining venue located on the water's edge with panoramic views of West Bay. 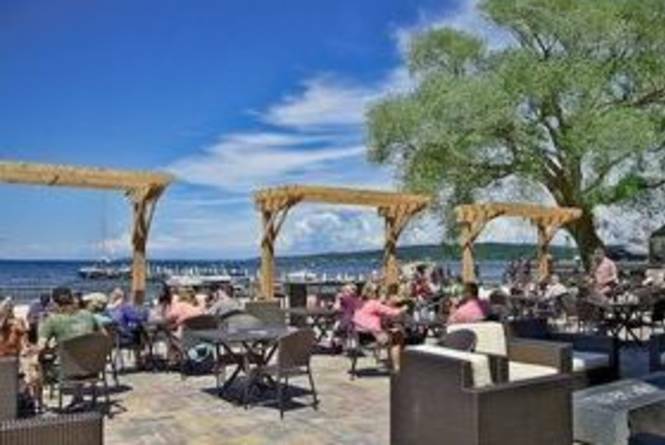 Both indoor and seasonal outdoor patio seating are available, with live music outdoor from Memorial Day to Labor Day weekends. Join us for lunch or dinner and take advantage of our many daily specials and fantastic happy hour deals! Enjoy all of your favorite sporting events and the NFL Sunday Ticket on one of our three big screen TV's! Sit back, relax, eat, drink, and dance! Located at West Bay Beach, a Holiday Inn Resort.